Air Force Chief of Staff Gen. Mark A. Welsh III speaks with 501st Combat Support Wing Airmen during an all call at Royal Air Force Croughton, England, July 16. Welsh explained the importance of reaching out and taking care of Air Force members and their families. 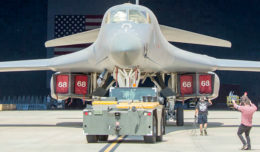 The sheer thought of disappointing his team — his wingmen, his brothers and sisters in arms — is the thought that keeps him up at night, striving to forge a better U.S. Air Force. Driven by his determination to be the best wingman he can be, Air Force Chief of Staff Gen. Mark A. Welsh III said it’s all about having dedication to the people who make this Air Force exceptional. 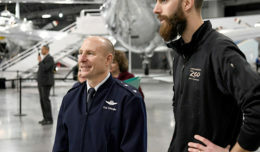 Welsh’s commitment to his team was a unifying thread throughout his visit, which brought him face to face with nearly 150 service members from the 501st Combat Support Wing. The Air Force is different than other jobs, he continued. It requires people to devote not only their time, but potentially their lives to their nation. Welsh impressed this concept upon the members of the 501st CSW who were present during his round-table discussions and all calls. First Lt. Sara Esau, the 422nd Air Base Group executive officer, internalized Welsh’s commitment to the Air Force people. Welsh’s devotion to never disappointing his team led him to emphasize his “Three C’s”: common sense, communicate better and care more. 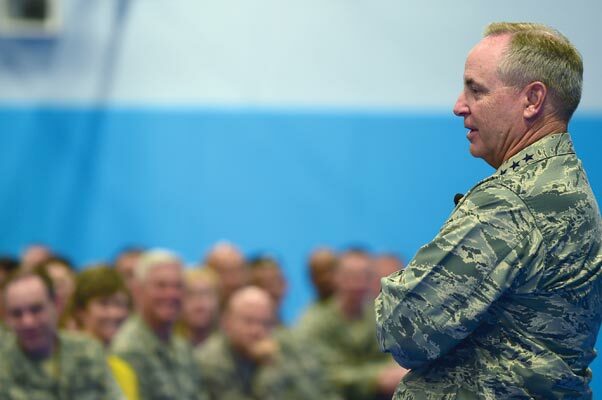 He encouraged Airmen to use their common sense to step up, step in and forge new and innovative paths toward making the Air Force even stronger. He also said communication is essential and Airmen at all levels must do a better job of engaging with one another. His final tip was to care more. Welsh said if someone’s best friend were to walk into his office and not say anything, he would know there was something wrong. He questioned why the same expectation does not exist when it comes to supervisors and their teams. Welsh encouraged all Airmen to fiercely care for one another, like brothers and sisters of a large and diverse family. He said it is the people who unite us together and make doing the impossible a daily reality. Welsh challenged every Airman in the room to examine not only what they do and how they do it, but, most importantly, why they do it. With a look of dedication and seriousness in his eyes, Welsh looked at the crowd and passionately explained why he wears the uniform. “I don’t just like being in the Air Force … I love being in the Air Force,” he said.